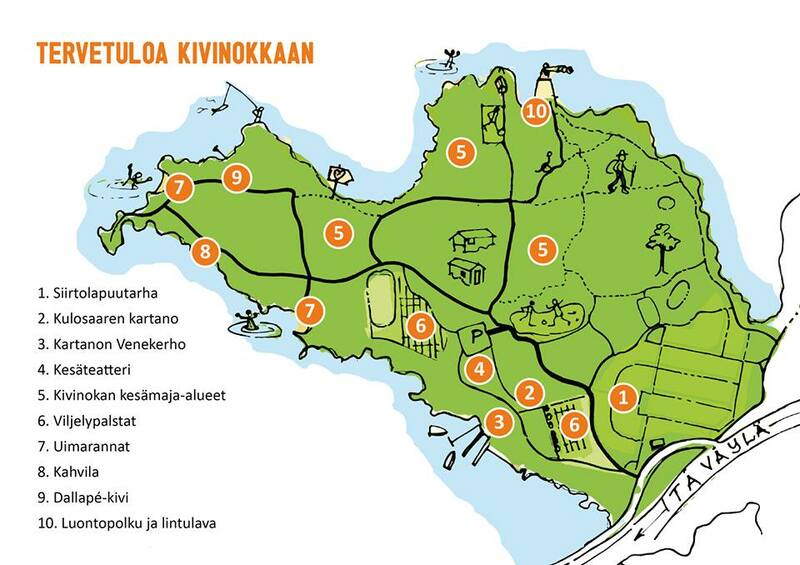 Kivinokka is a public open summer cottage and recreation area in Eastern Helsinki, Herttoniemi, between the underground stations Kulosaari and Herttoniemi. See below for directions. Turn onto this gravel road, and immediately bear right, following the road (a few minutes walk) until you get to the main Kivinokka gate, where there is a big parking lot. This is where the exhibition area begins. See here for a map of the artworks. 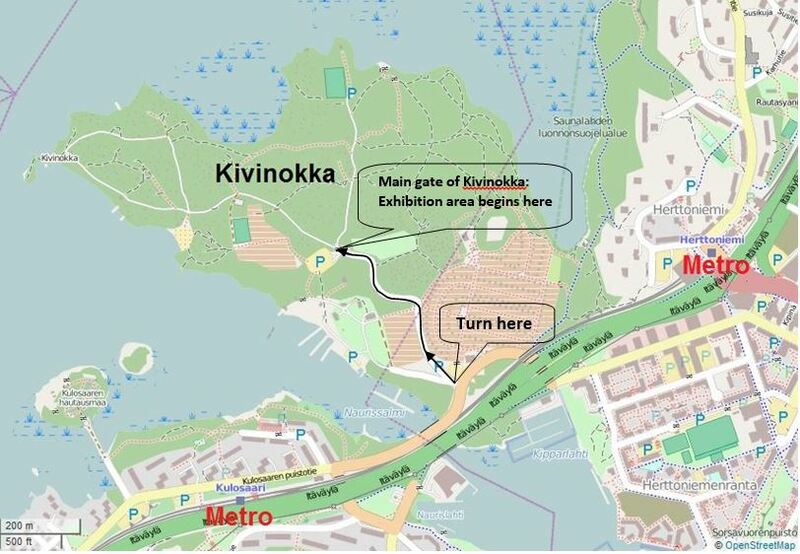 By metro: Kivinokka is within 10-15mins walking distance from both Kulosaari and Herttoniemi underground stations. By bike: Many come to Kivinokka by bike. It takes a good half an hour to ride your bike from Helsinki city centre to Kivinokka. By car: From Kipparlahden silmukka street drive approximately 500m along the little country lane until you arrive at the Kivinokka car park. By boat: It is possible to moor with rowing boats or small outboard boat, but not with larger boats as there are no proper piers. This exhibition is entirely outdoors, and some art works are located off the main nature trail, along hiking paths through the forest.